All SpaEase Models can be positioned into and away from your hot tub. Simply lift, spin 180 , drop, and it conveniently locks into position. No burdensome knobs to turn. The Only Rails Guaranteed Not to Rust, Pit, or Scale No Matter What the Climate. And Guaranteed to Not Fade or Discolor & Still Look Brand New For Many Years. 3 Times Stronger Than Traditional Rails. Polymer Ideal in Direct Sun Usage. 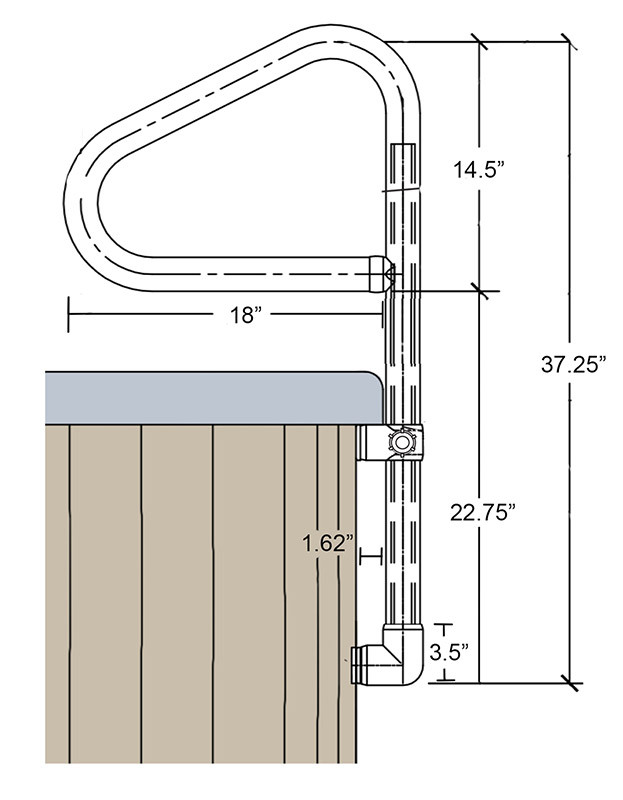 Eliminates the Need for Unsightly Foam Handles on Traditional Rails. Rails Can Easily be Removed & Replaced. Only Rails with a “Green Certification Seal”. For any Hot Tub or Swim Spa. Available in 3 designer colors, Graphite Grey, Black Onyx and Bourbon Brown. Black Onyx shown above. 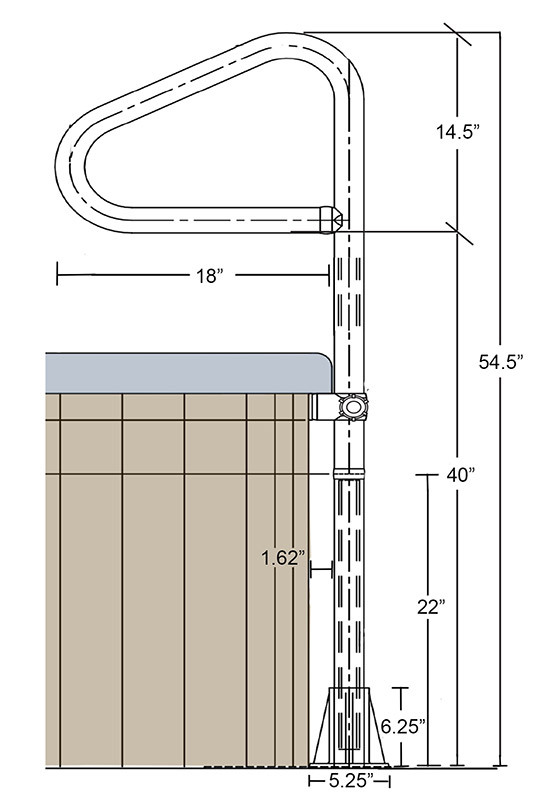 For Hot Tubs 27” to 40” Tall. Available in 3 designer colors, Graphite Grey, Black Onyx and Bourbon Brown. 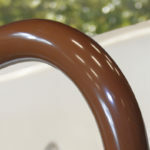 Bourbon Brown shown above. 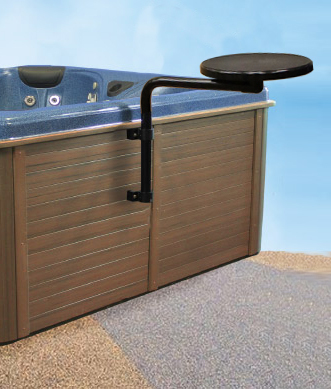 Identical to the DM-54 Model but includes an UnderMount Plate Attachment that extends under the hot tub providing full support. Can easily be converted to a DM-54 if desired. 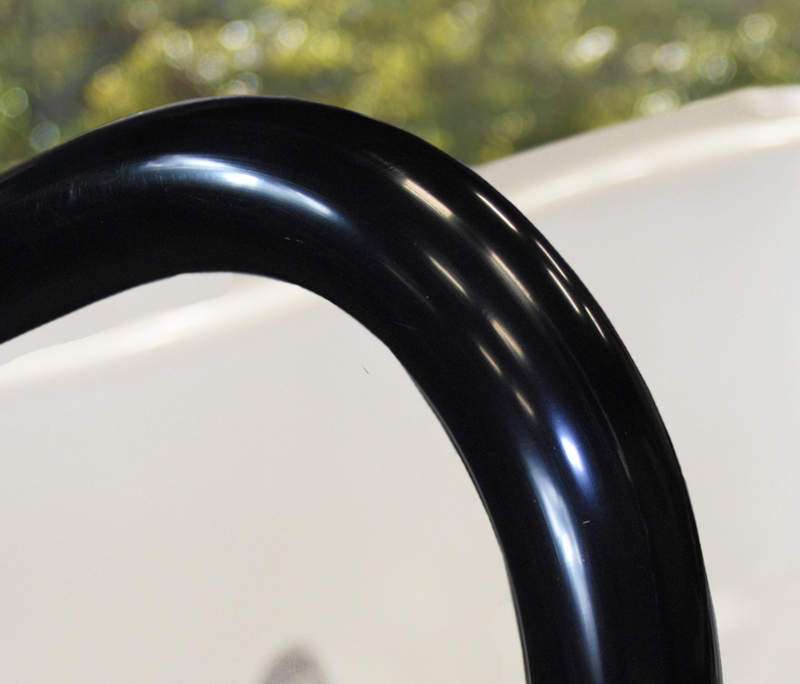 Large 20” round tray swings into any portable hot tub or swim spa. Provides convenient access for snacks, drinks, ash trays, and even books for multiple users. 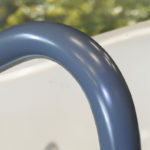 Our unique Mounting Brackets provides a secure attachment and allows the entire swing arm to easily be removed. 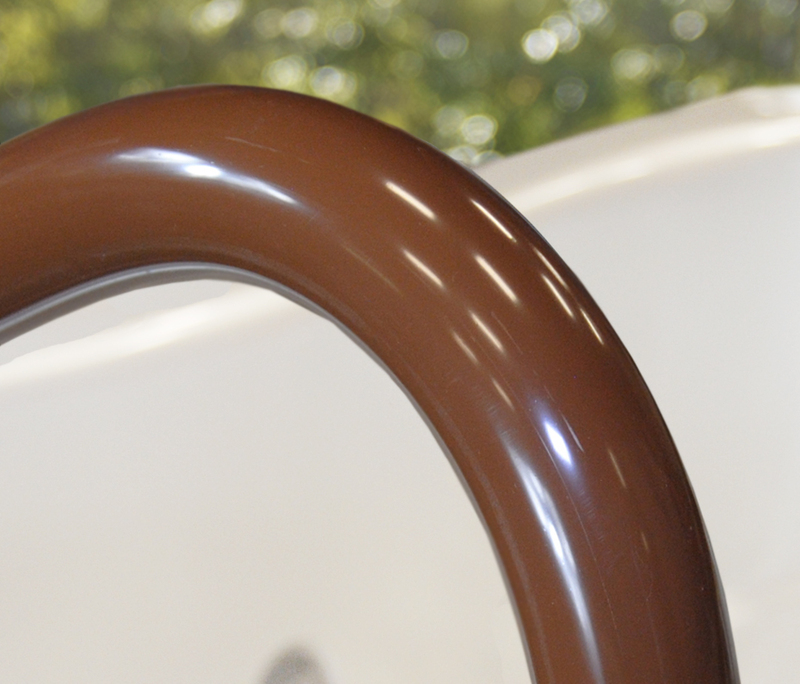 Round tray can also be easily detached from the swing arm. Also available as a Deck Mount for swimming pools. 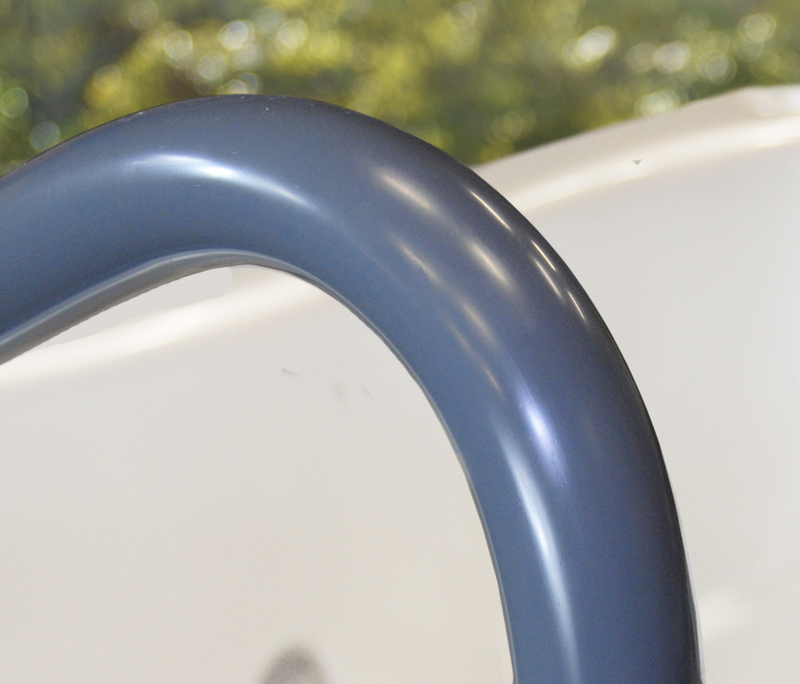 The Mounting Brackets provide universal usage for either our Side Mount Access Rail or the Rotating Snack Bar. Either can be purchased complete with or without Mounting Brackets.